Homes for sale in Maple Plain MN have an average sale price of $189,000. A home buyer can find some very nice 2 story homes with 2,500 to 3,400 sq feet between $275,000 & $350,000 in neighborhoods like Three Oaks or Leintz all of which are in the Orono school district. Besides the great schools and proximity to Minneapolis another draw with regards to the city is the nearby Lake Independence & Baker Park Reserve. The Baker Park Reserve is bordered by Maple Plain and many home buyers/past clients have based part of their decision making on buying a home here due to the parks proximity. Maple Plain is situated on the western edge of Hennepin County and is home to approximately 2,100 residents. Maple Plain got its name for the many sugar maples located there. If you’re looking for a place to call home that’s a bit less busy than areas like Plymouth or Maple Grove, Maple Plain may just be your answer. Here you can find a bit of land for horses or maybe own that shop you’ve always wanted. With convenient access to Hwy 12/394, homeowners have an easy commute to Minneapolis. Baker Park Reserve, located on scenic Lake Independence, offers 2,700 acres of natural landscape with trailheads scattered throughout Maple Plain. The park accommodates activities from golfing to camping to cross-country skiing. No matter the season, there are always fun, family-friendly things to do. In the summer, they have the “udder market” which includes produce from local farmers. Pull up a chair and watch baseball in the park, or you can even join the Maple Plain Garden Club who’ve been planting and making the city beautiful for over 30 years. As not only Maple Plain Realtors, but agents who grew up right in the area, attended the Orono Schools and still live locally, Maple Plain holds a special spot to us. 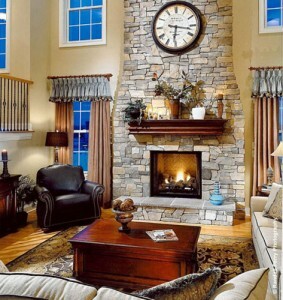 The Derrick Monroe Groups real estate office is just outside of Maple Plain in Rockford, we are full time and dedicated to ensuring your home is showcased in the best light when it comes to selling. If you’re considering a move call our Realtors today at 612-282-SOLD.